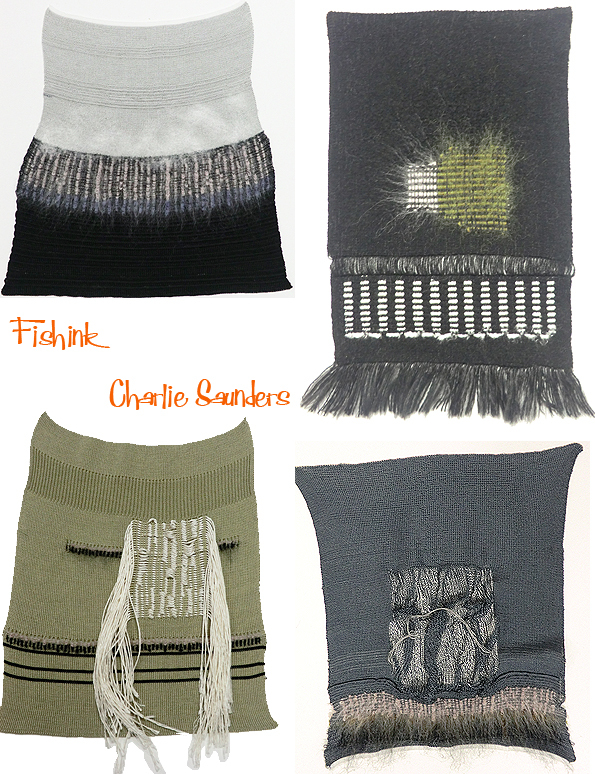 Wonderful, intricate details from ladies wear designer Charlie Saunders. 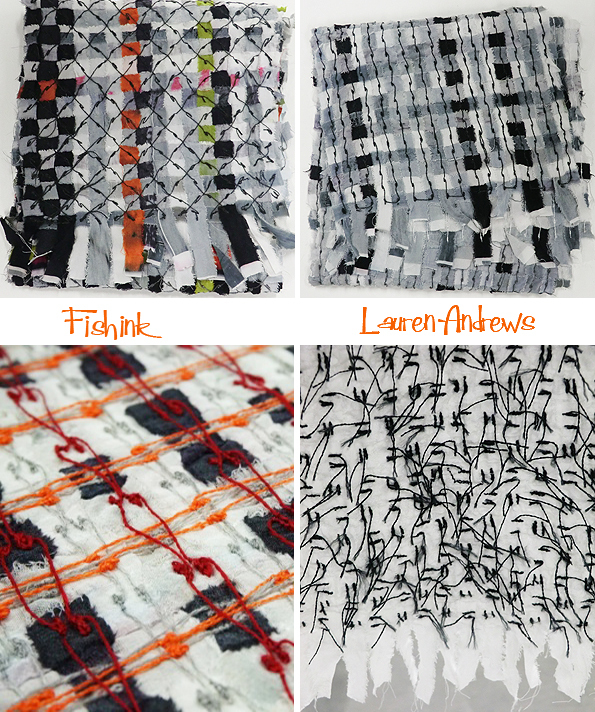 Or these softly comforting, grey-scale embroideries with a hint of colour from Lauren Andrews. Animalistic embroidery from Kelly Quinzel, the large faces were great. 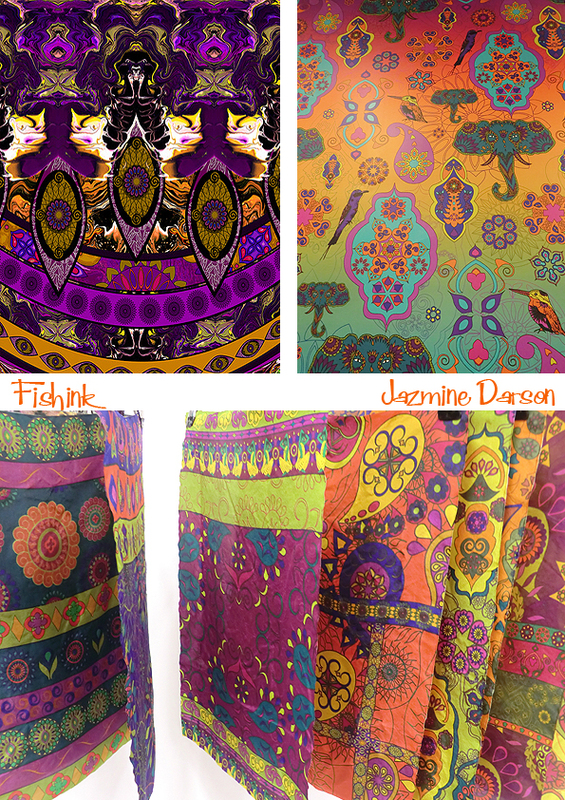 Some spicy hot, summery, Indian vibes from Jazmine Darson. 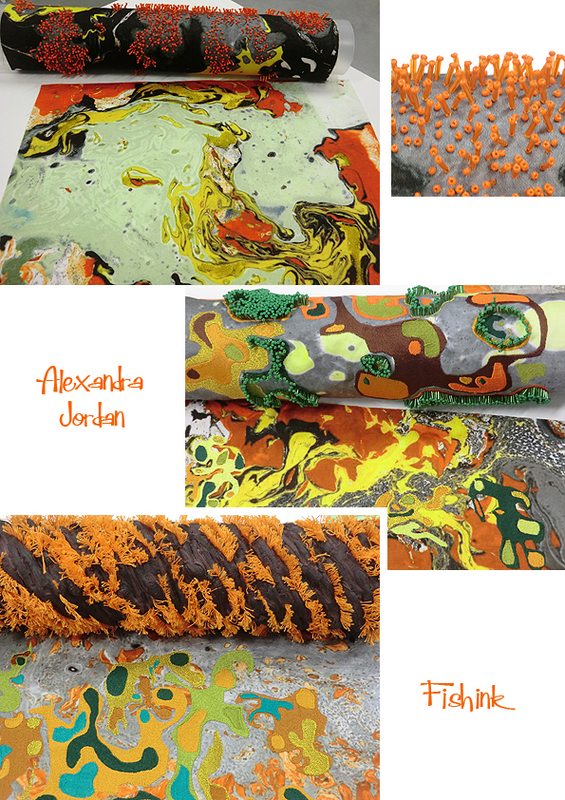 3-D textiles from Alexandra Jordan, who was inspired by lichens, fungi, bark, crystals, reptile skin and moss. 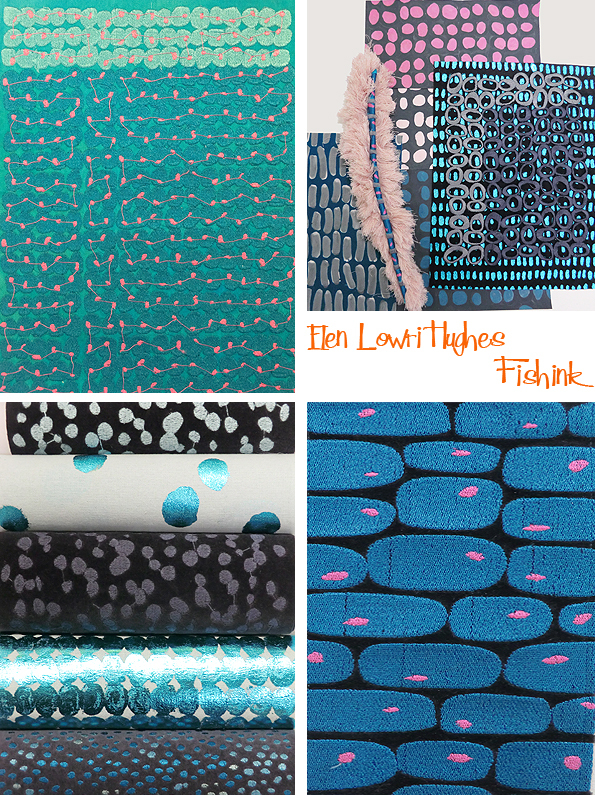 Alexandra has used beading, embellishment, puff binder and tufting to help create her raised, textural surfaces. Hannah Sharratt’s concern for the planet has focused her on recycling, using natural plant fibers/dyes and hand processes. 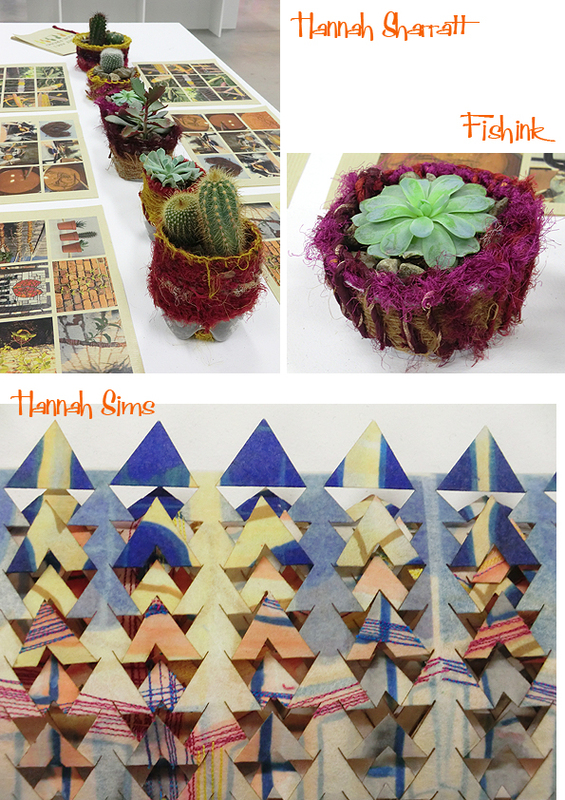 She has created these nest-like pots in a world that needs a more sustainable consumer culture. 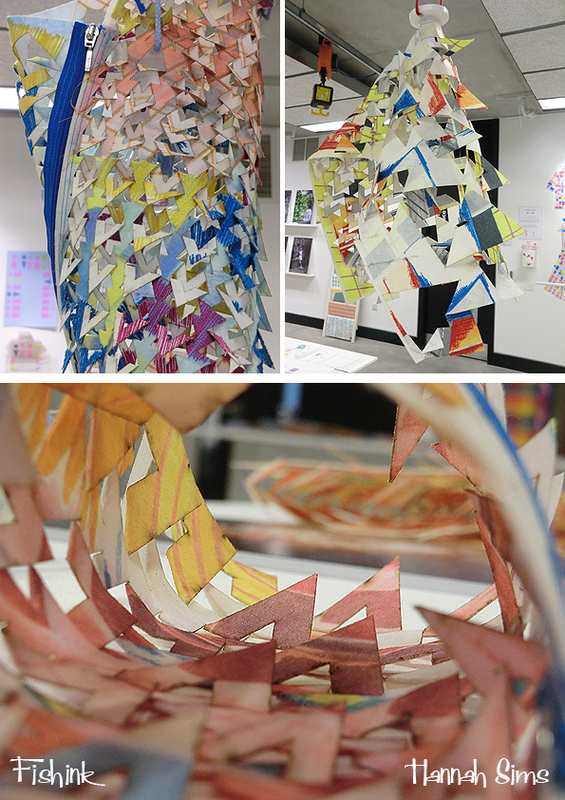 Hannah Sims used Manchester’s city centre as her inspiration for some graphical and colourful geometric lighting structures. Personally they’re a little too busy and random for my personal taste, but I think they’d make superb children’s climbing frame wigwams, amongst a scaled up playground ! What do you think ? 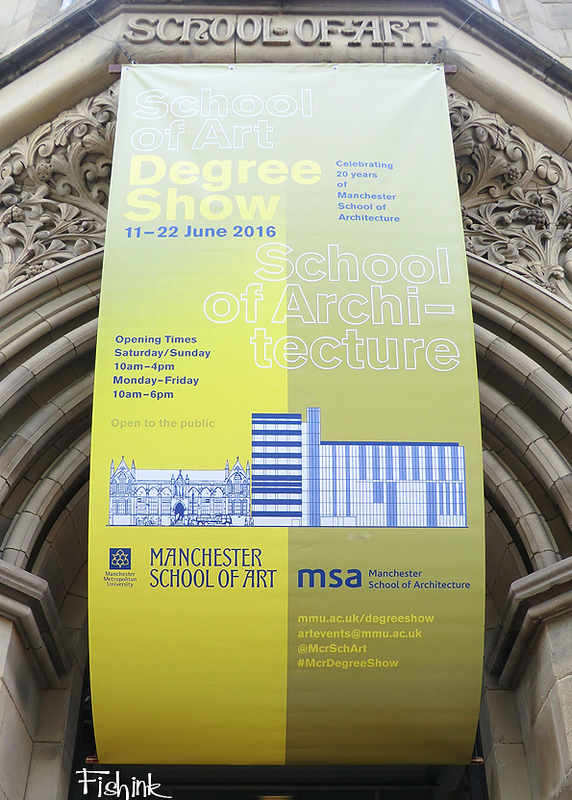 More to come this week (as a treat for you) and the shows are on until the 22nd, so do pop in and have a look around for yourselves. Wow, there is so much creativity coming up through the university isn’t there? How fantastic! Thanks for sharing Craig and good luck in the future to all the graduating students! Some lovely stuff in Textiles dept. I loved Moly Newport’s masks & Elen Lowri Hughes. 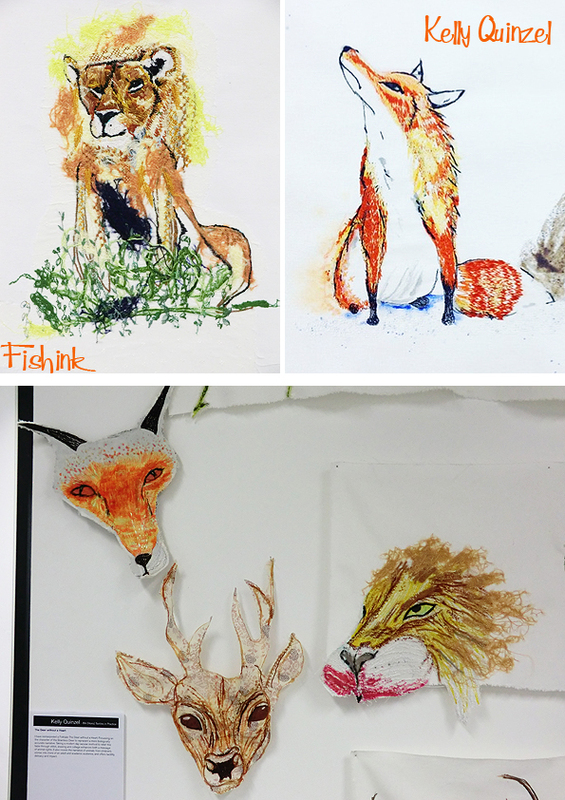 Felt the artistry & ideas in Textiles & Illustration much stronger than Fine Art. Glad I made it in the first week this year as lots of prize winners stuff had gone off to New Designers by the time I went last year. Thanks Nerissa, some good points there. I didn’t get to see the Fine Art this year. 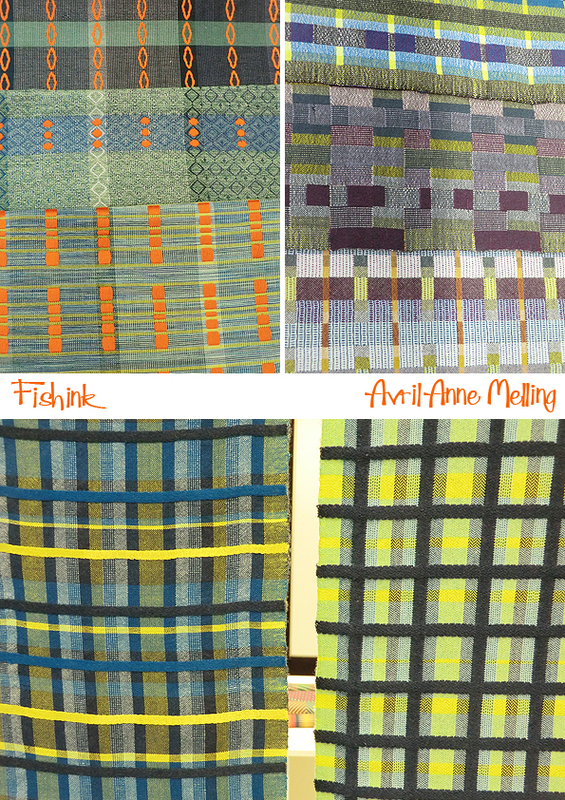 I did feel that the Print in Textiles wasn’t as strong or as popular as the woven fabrics were, an interesting turnaround from past years. Thanks for your comments.